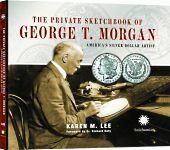 According to James Earle Fraser, the designer of the Buffalo Nickel, the profile that almost fills the obverse side was a composite intended to suggest a type, not a portrait of any one man. The face of the Native American is intended to be realistic and was a departure from the stylized, very European-looking Native Americans of most past coins. Fraser insisted that not one but several Native American chiefs served as inspiration for the profile he designed, including Two Moons of the Cheyenne, Big Tree of the Kiowa, Iron Tail of the Oglala Lakota, and others he did not name. Fraser denied the claim by John Big Tree of the Seneca Nation that he was a model for the coin. 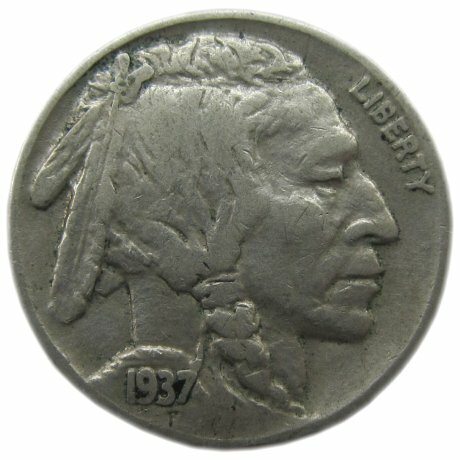 The word “LIBERTY” appears at the right of the profile, stretching along the edge of the coin, level with the Native American’s forehead and nose. The date appears at the bottom, on the Native American’s shoulder. The date was a raised area on the coin and is often subject to wear. Sometimes well-worn Buffalo Nickels have no discernible date at all. An “F” appears under the date as the designer’s signature. The edge of the Buffalo Nickel is plain and smooth, with no reeding, in an effort to help the manufacturers of coin-operated devices to adapt their machines to the new coin. Filed under Buffalo Nickel, Coins Obverse, Indian Head Nickel.